Enjoy a guided tour to medieval Dubrovnik with our escorted holidays to Croatia by air and coach. The Old City of Dubrovnik is the most favourite destination in Dalmatian Coast. The Old City of Dubrovnik was made a UNESCO World Heritage Site in 1979. The magnificent cityscape made up of several small southern-style houses is located on southern most part of Dalmatia at the Adriatic Sea. The City is the favourite destination of Croatia. The city has always been based on maritime trade, rivalling with Venice for hegemony. Owing to its international connections the city strived in development and gained wealth and strength along the way. The City Walls is best tourist attraction and probably the first thing you want to visit in Dubrovnik. These imposing walls enclosing the Old City of Dubrovnic are the city's most famous attraction. The protective barrier ranks among the finest of the world and is over 25 metres tall and about six metres thick. If you have watched the Game of Thrones series you will probably recognise few spots. This place usualy gets crouded during the day, so make sure you go earlier. 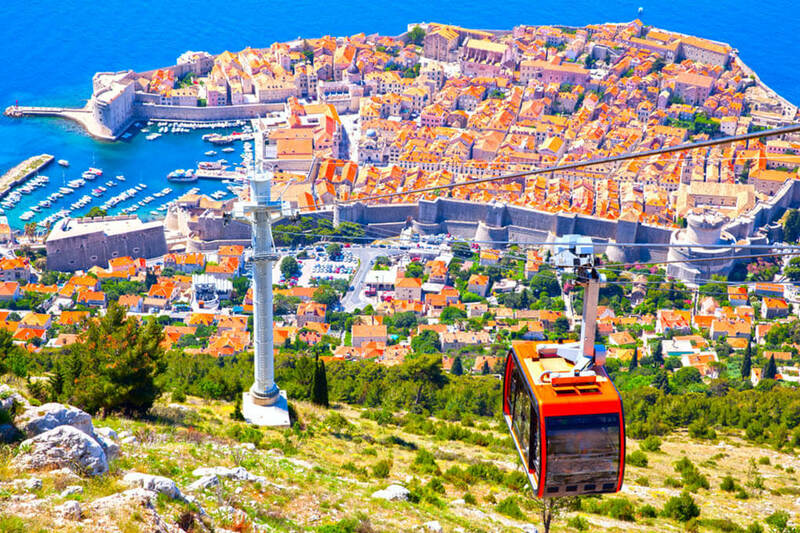 For the breathtaking and panoramic views over the Old City of Dubrovnik you can get to the top of Mount Srd with the local cabel car. The longest and widest street of Dubrovnic stems back to the 13th century. The marble-paved boulevard has always been the city's commercial, cultural and spiritual centre. Korcula is a beautiful island with interesting history that is worth a visit during your stay in Dubrovnik. Great fort that stands alone on the rock and offers panoramic views of ancient City Walls. Also some Game of Thrones scenes were filmed here as well. This fountain was built in 1438 by Italian-born architect Onofrio della Cava. The detail-steeped fountain was a masterpiece of its time, once supplying the main square with water. If you cannot find a suitable escorted holidays to Croatia contact us and let our experienced travel agents help you find your perfect holidays to Croatia or any other destination in Europe.